My Visual Studio 2010 randomly stopped responding. In my frustration I never looked further than the first tab of the Task Manager to end the task. Until I read a post about the Resource monitor in Windows. What is this magic tool and where does it live? 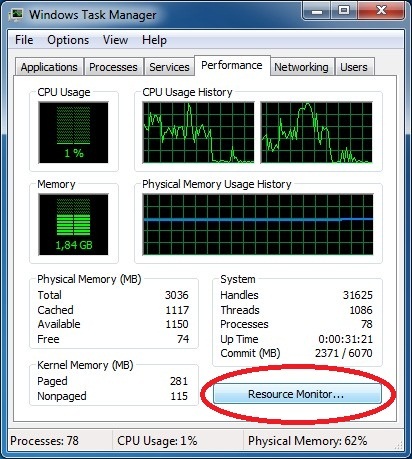 Check the Performance tab of the Task Manager and find the Resource Monitor button. 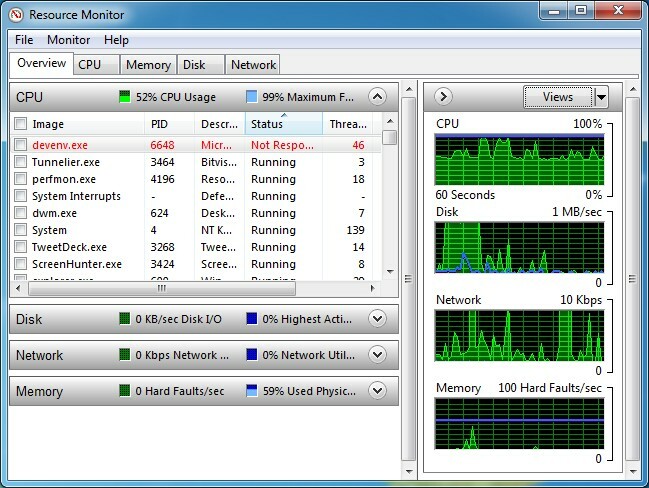 The resource monitor showed the devenv process in red, which meant it was not responding. I already knew that but now I had the option to investigate further. 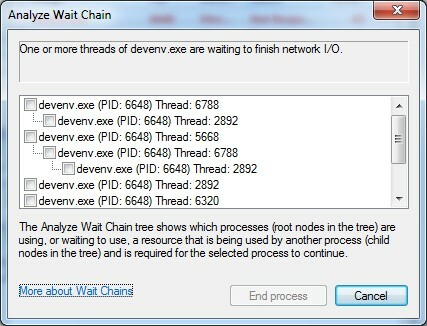 The context menu contains “Analyze Wait Chain” which showed me the threads of the process and why they were not responding: “One or more threads of devenv.exe are waiting to finish network I/O.”. As you can see in the screenshot one thread (2892) is blocking almost every other thread. Would be nice to just kill that thread, but that is not possible. End process will (as the name would suggest) end the complete process and kill all threads. Now I knew where to look. Truns out Tunnelier was spitting out error messages about a No wait loop. Turns out someone else was getting the same error: Bug report. After I upgraded to Tunnelier 4.40 everything runs fine. 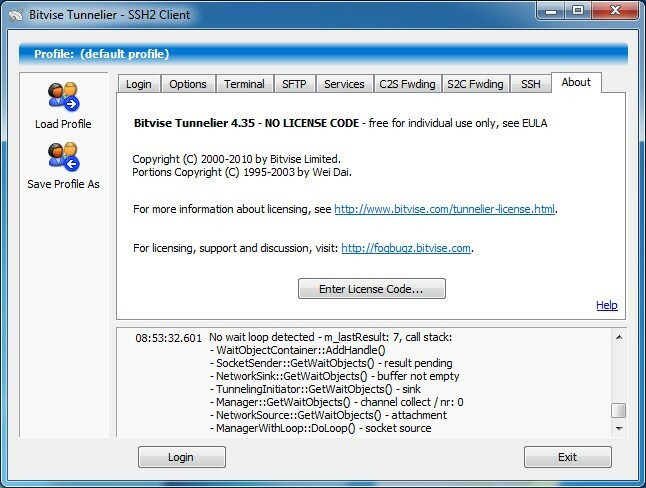 This entry was posted in Tooling and tagged Network, not responding, Productivity, Resource monitor, Task manager, Tooling, Tunnelier, Visual Studio 2010. Bookmark the permalink.